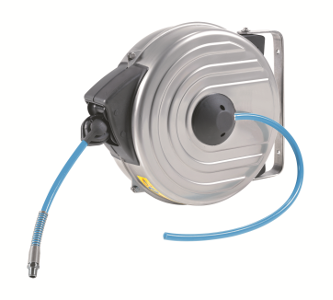 The hose reels are supplied and completed with the distribution polyurethane hose reinforced with a textile braid. This distribution hose is available with two different diameters. Furthermore these models are supplied with an additional connecting flexible hose 1 meter long.